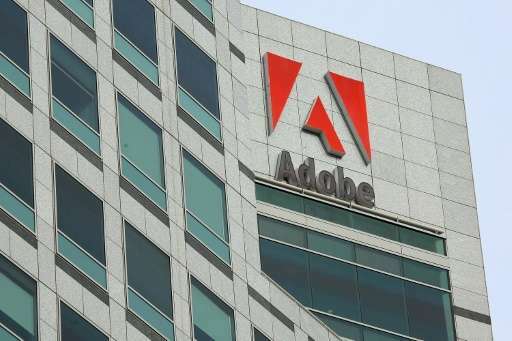 Adobe on Tuesday said its Flash software that served up video and online games for decades will be killed off over the next three years. The software giant said in a blog post its software, once considered a standard, was being supplanted by open standards such as HTML5 which have matured and become viable alternatives for content. "Given this progress, and in collaboration with several of our technology partners—including Apple, Facebook, Google, Microsoft, and Mozilla—Adobe is planning to end-of-life Flash," the company said. Adobe planned to stop updating and distributing the Flash Player at the end of 2020, and encouraged a shift to new open formats. "For 20 years, Flash has helped shape the way you play games, watch videos, and run applications on the web," Google said in an online post. "But, over the years Flash has become less common." Three years ago, some 80 percent of people using Chrome to browse the internet visit Flash sites, but that figure is now 17 percent and dropping, according to Google. Flash was widely used on desktop computers in the early 2000s to power games or video accessed using browser software. Flash evolved to support similar uses on mobile devices, but late Apple co-founder Steve Jobs wrote a letter criticizing Flash and the application was not welcomed on iPhones or iPads for reasons including security woes. Apple stopped pre-installing Flash on Mac computers in 2010 and its mobile devices never supported Flash. Facebook said it is promoting the use of HTML5 for online games, a popular category at the leading social network. "Today's news marks the continued evolution of web and desktop gaming, and we're committed to working with developers to preserve their gaming experiences on Facebook," the social network said. HTML5 standards implemented in modern browsers provide similar capabilities with improved performance, battery life, and security, according to Microsoft, which planned to transition away from Flash in Edge and Internet Explorer browsers. This is a happy day. Hopefully the software developers will drop it everywhere even sooner. No, unlikely, they aren't proactive. If everything else from Adobe would go on the wasteheap of history, that would be even better. qitana, I think you are confusing "made myself" and made using Java and Flash platform. There are ways to write the web site really yourself, using the most basic html functionality. It would likely become somewhat non-functional, but it would take about 10 years, not 5 like in your case. Agree though, either way it is too much maintenance.